Two calamitous defensive moments handed Highgate the win in a clash of the Midland Football League’s heavyweights. 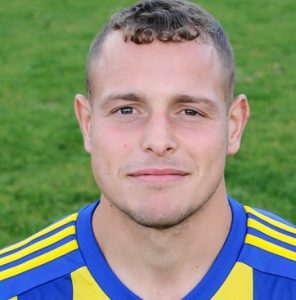 With half a dozen of the normal defensive ranks unavailable, Khalsa boss Ian Rowe was forced into deploying attacking midfielder Alex Woodhouse as emergency centre half alongside Tes Robinson. In truth, Highgate dominated in terms of genuine goal scoring opportunities – wasting one particular chance early in the second half and having an effort cleared off the line. But on the balance of pressure, things were much more even in a fast-paced first competitive outing on the new Sporting Khalsa pitch. The home side had the best of the early exchanges, Vidal Hendrickson’s interception and pass to Lee Chilton led to Josh Thomas getting the ball surging into the area but could only blaze over on ten minutes and two minutes later Chilton’s shot was deflected wide off Thomas. But the game turned on 18 minutes, the predatory Lei Brown on hand after a succession of defensive blocks to put a shot from the edge of the area past a crowd of players and the despairing dive of Sam Arnold to open the scoring. Khalsa might have equalised almost immediately, Robinson just unable to reach a Dave Meese flick from Chilton’s corner. Gate doubled their lead on 27 minutes, Nick Seabourne capitalising on some lax defending after a break down the left flank. It could have been worse still for Khalsa before the break, as they went back into their shell, a looping header by Correy Corrithers five minutes before the interval beating Arnold but just clearing the crossbar. With Hendrickson sacrificed at the interval for Jay Holdcroft, the early stages of the second half saw Gate pick up where they left off. Almost immediately after the restart, Seabourne had the chance to double his tally as he was fed through but a combination of Arnold’s block and Alex Perry’s goal line clearance denied him. A few minutes later Seabourne, Brown and the crossbar somehow combined to fail to score when it seemed harder to make it 3-0. Khalsa, to their credit, kept at their opponents but rarely tested Gate keeper Bradley Catlow. Josh Thomas’s surge down the right on 53 minutes ending with a cross that was tempting but unable to find a buyer, while a Carlo Franco looping centre almost caught Catlow flatfooted but was tipped over. With 15 minutes to go, Tony Clarke’s shot was well saved by Catlow and from the resulting corner a goalbound effort by Chilton was bravely blocked by the face of a Gate defender.